Hülefa-i Raşidin The most exceptional era in human history in terms of virtue, justice, altruism, and ethics was the era of the golden age of Islam. It is called a golden age because Prophet Muhammad (sallallahu a. s), whose inward spirit many Muslims understand as the original cause of creation, was alive in the world during that time. The spiritual power of the Prophet shaped the era in which he lived. And it was then possible for great numbers of ordinary people to encounter him regularly and to get to know him well. The people of that honored age emerged out of the darkness of violent ignorance and made their way to the civilization of peaceful virtue. Then they climbed the peaks of knowledge of Allah. Members of this community are therefore called the Venerable Companions of the Prophet. They were faithful to the Prophet in all matters. 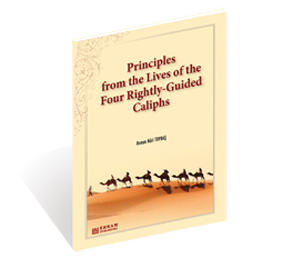 Es ist noch keine Bewertung für Principles from the Lives of the Four Rightly-Guided Caliphs abgegeben worden.